TATA’s new approach to quality and design finishes is evident in the revival of the TATA Bolt Hatch 1.2 litre. The 2017 TATA Bolt is sexier, bolder, and more powerful than its predecessor, and is certainly putting TATA in a league of its own. The revived 2017 TATA Bolt is made to stand out. The sleek, sporty design is beautifully modern and includes a neat front end, stylish headlamp cluster, big centre head lamps and both front and rear fog lights. The blacked-out C pillars, as well as the redesigned grille with its chrome top line, give the vehicle that extra stylish and sporty edge. The chrome, piano black and dark grey interior provides a sophisticated and classy feel, and together with the cloth trim panel on the doors make for a polished and slick ride. The sense of space in both the front and the back of the car, is vast and generous, allowing for a comfortable journey for the whole family. The drink holder upfront, the large glove compartment, handy door pockets and a sneakily placed drawer under the passenger seat provide extra storage space. While the boot is sufficient for daily use, it is short and narrow. But it can be cleverly extended by flipping the single unit back seats into a flat base. Partnering with HARMAN, TATA has created an impressive, user-friendly LCD touch screen that has incredible functionality, neat displays and includes a state-of-the-art infotainment system. The infotainment system includes USB, AUX, Bluetooth, and SD card port functionalities, as well as a voice command function that puts the Bolt at the top of its game. The dashboard is stylishly designed in black with silver trim and black gloss inserts gives that added trendy and modern feel. The 1.2 litre Bolt is set above its competitors and has a turbocharger added to one of its engines, producing a maximum power of 66kW and a maximum torque of 140Nms. It has an excellent fuel assumption giving you up to 7 litres per 100km. It has a ground clearance of 105mm allowing for optimal on road comfort, and is known to ride comfortably on all road surfaces. 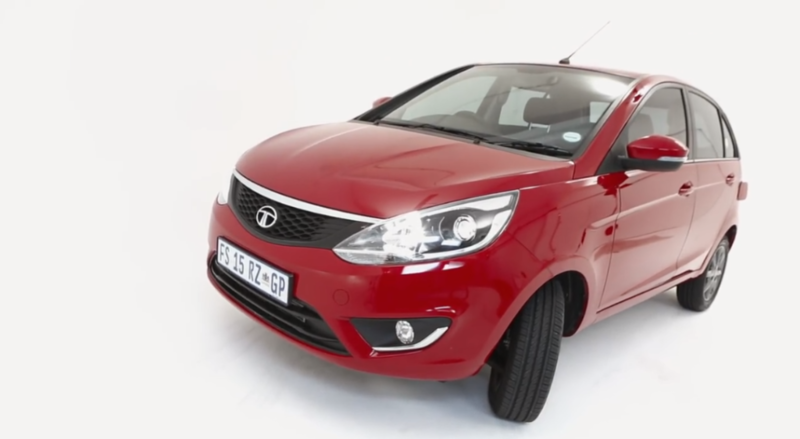 Both 1.2 litre Bolt models, the XT (R167 995) and the XMS (R157 995), feature various equipment specifications and design elements, a 5 year 100 000km warranty, a 2 year 30 000km service plan and requires service intervals of 15 000km. The 2017 TATA Bolt has undergone various changes and upgrades over the years, and the revival is magnificent, offering you both comfort, state-of-the-art functionalities and a stylishly modern and sporty design.